A gift as part of your will is a way of leaving a personal legacy. 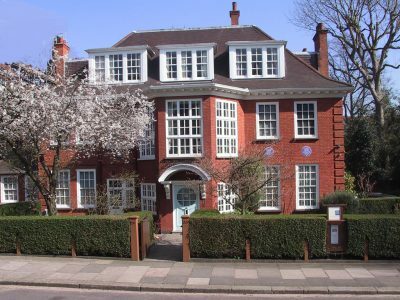 By leaving a gift in your will to the Freud Museum, you will be helping to care for a place that has special meaning for you. Your gift will ensure that the museum continues its work to preserve the psychoanalytic legacy of Sigmund and Anna Freud, and is here for future generations to benefit from and enjoy. It’s easier than you might think to leave a gift in your will. We recommend that you visit a solicitor to help make sure your wishes for your family and any charities cannot be misunderstood later. A solicitor will also be able to advise you on the tax benefits that are available if you put a gift in your will to charity. Visit the Remember A Charity website to find a solicitor in your local area who can advise you on leaving gifts to charities as part of your Will. An unrestricted gift is the most helpful as it allow the museum to use your gift where the need is greatest. If you would prefer to support a specific area, you may wish to consider: conservation, education and outreach, exhibitions, care and preservation of the house and garden. To discuss a gift in your will, please email the development office or or call us on +44 (0) 20 7435 2002.